The minutely moulded landscape setting on one side of the ink tablet serves as a miniature painting. This piece forms part of the 64 ink sticks set known as Yu Yuan Tu (Images of the imperial buildings), each depicting different buildings in the Palace and the Yuanming Yuan (Summer Palace). The three-character inscription Jian Guan Lou, literally meaning ‘Reflect-Light Building’, represents one of the buildings in the Old Summer Palace, Yuanming Yuan. This set of ink sticks was important for the study of the buildings of the Yuanming Yuan, especially after it was burnt down in 1860. 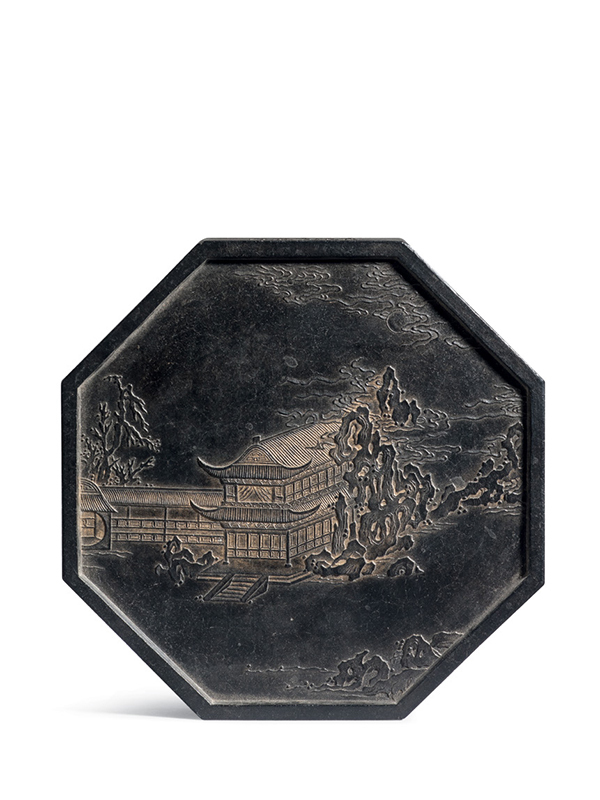 A closely comparable ink tablet of octagonal form, similarly depicting a building in a landscape but dated to 1771 of the Qianlong reign, is in the collection of the National Palace Museum, Taipei. 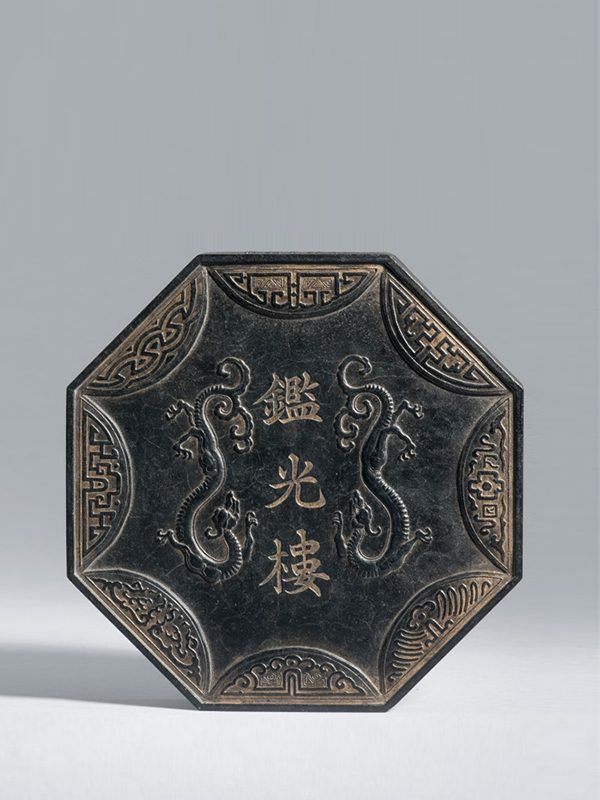 Two ink tablets of octagonal form, both dated earlier to the Ming dynasty, are respectively in the collection of the National Palace Museum, Taipei and the Metropolitan Museum of Art. A complete set of Yu Yan Tu ink sticks is in the collection of the Palace Museum, Beijing. The National Palace Museum, Taipei online collection archive, no. 故文 637.